PRICE REDUCED! Come enjoy the Shipwatch lifestyle! Shipwatch Yacht & Tennis Club is a lush, 56 acre, gated, pet friendly community on the Intracoastal with its own marina, restaurant and bar, ponds and springs with loads of wildlife, 2 swimming pools, a hot tub, fitness room, walking trails, BBQ grills, tennis courts with Pro shop (lessons and massages available), 24 hour courtesy officers and only a short walk over the bridge to the Gulf of Mexico and several restaurants with live entertainment. Enjoy the view from this 2 bedroom, 2 bath second floor unit from the enclosed Lanai, overlooking a pond with a fountain. 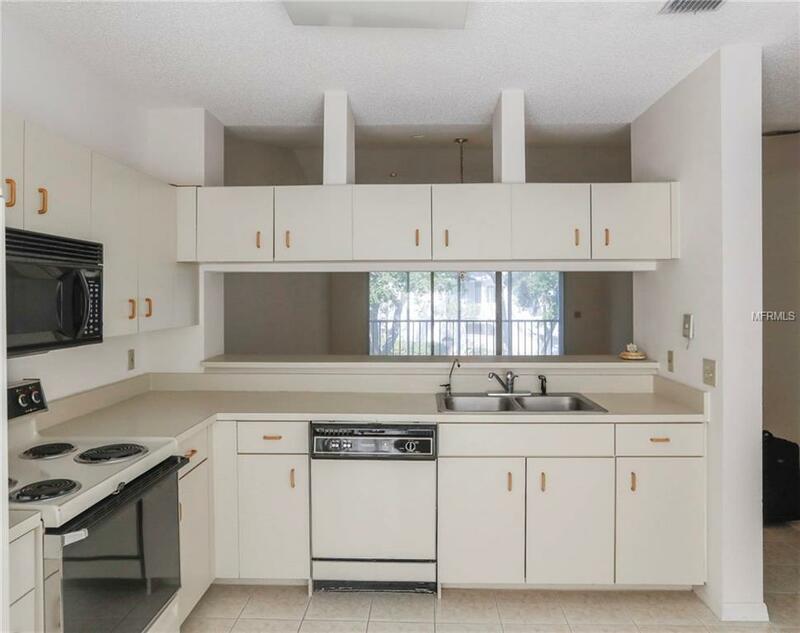 Well maintained unit with a built in desk in the guest bedroom. This unit comes with an oversized one car detached garage AND a one year American Home Shield "Shield Plus" home warranty!